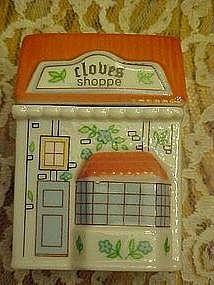 Cloves Shoppe, a porcelain spice container from the Spice Market collection in 1990. Measures 3" tall, and is in perfect condition. Freshness gasket on the lid. I have others from this same collection. Has never been used.